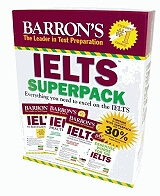 Academics and professionals looking to validate their English language proficiency by taking the IELTS get the most comprehensive preparation available anywhere with Barron?s IELTS Superpack It consists of the brand-new Barrons IELTS manual with MP3 CD, IELTS Practice Exams with 2 audio CDs, IELTS Strategies and Tips with MP3 CD, and Barron?s Essential Words for the IELTS with MP3 CD. The books in the Superpack have a combined total value of $86.96. 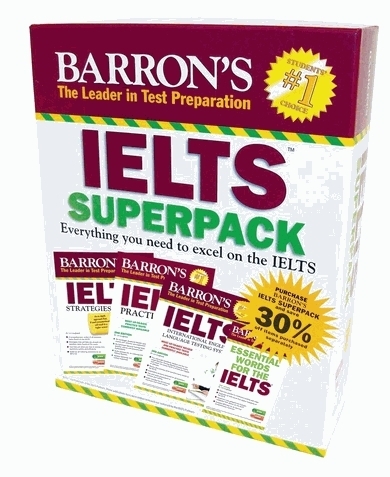 Students who purchase the IELTS Superpack for $59.99 get more than 30% off the price of items purchased separately.